On 6 April 2017, the Gender Pay Gap Reporting Regulations will require businesses with more than 250 employees to calculate and publish the Gender Pay Gap between male and female employees. 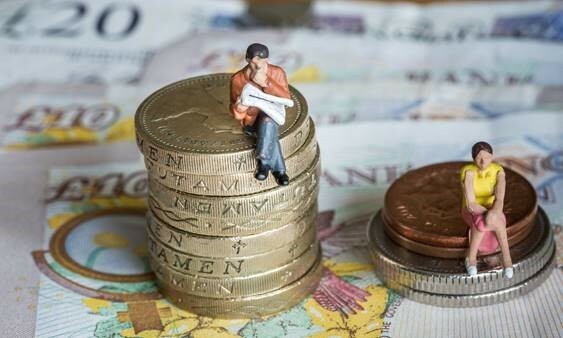 The introduction of the Gender Pay Gap Reporting is a further step towards equality and also transparency of wages and bonuses. The reference to employees includes all employees, workers (including zero hours workers), apprentices and also some self-employed people. This is on the basis that Gender Pay Gap Reporting stems from the Equality Act 2010, protecting employees and workers from discrimination and the definition of “employee” under the Act is wider than for many other elements of employment law. All employees and workers engaged on 5 April 2017 will be included. Recruitment agencies hiring temporary workers are also caught by this. Employees or workers who are on reduced rates of pay due to maternity leave, paternity, adoption, shared parental leave or sick leave however, are excluded. 6. The proportion of males and females when divided into 4 groups order from the lowest to the highest pay. This data must then be published as a report on the businesses website and also a Government website within 12 months. As such, the first Gender Pay Gap Reports must be published by 4 April 2018 at the latest. The report must be confirmed in a written statement by an appropriate person such as the Managing Director or Chief Executive. Why the results show challenges. For example, why the bonus figure is so high due to the number of males in the management roles etc. Explain the results successes, i.e. that everybody is paid the same. Explain your businesses long-term plan, such as, you are looking to reduce the Gender Pay Gap overall. It will be interesting to see when businesses issue their reports as we imagine those who have positive reports will publish first. You do, however, need to consider the impact it may have on your staff as it may raise questions for some groups of employees. As such, it is important for any narrative to clarify any potentially damaging results and have a strategy in place to deal with queries from your staff and the media. Currently, there are no specific civil penalties for non-compliance contained within the Regulations. However, the Equality and Human Rights Commission can investigate, issue notices or apply to a court for an injunction for failure to comply which it deems to be an unlawful act. If you require any further information in relation to Gender Pay Gap Reporting and how it will affect you, please do not hesitate to get in touch with Andréa or Rachel.